Originally from Lithuania, Augustas created the European Private Label Summit in 2016 and 2017 as a means of helping other Amazon sellers capitalize on the thriving European e-commerce market. In 2018 and 2017 he also produced other two online conferences targeted to global Amazon sellers. One of them called AMZ Seller Summit got a record number of attendees 3300. During his latest virtual AMZ Q4 Strategy Summit, the experts shared their tips and tricks for the most important quarter of the year - the Q4. In March 2019 Augustas invites European private label Amazon sellers to his first live event in Prague (Czech Republic) called European Seller Conference. Augustas' dedication has led him to gather the best information from around the world to offer his audiences. He furthers his mission in supporting Amazon sellers as the founder of Orange Klik Company, helping e-commerce entrepreneurs becoming the best at what they do. If you are running an Amazon FBA business and looking to learn how to successfully sell your products and move to the next level, a virtual summit is a powerful tool that you can explore. Why Augustas is known as the Amazon Summits Guy. As the founder of the Orang Klik company, Augustas shares the best and most current information about Amazon FBA to help sellers succeed in Europe and worldwide. How Augustas came up with the idea of using a virtual summit with the Amazon FBA marketplace at the center of the curriculum to help entrepreneurs grow their business. 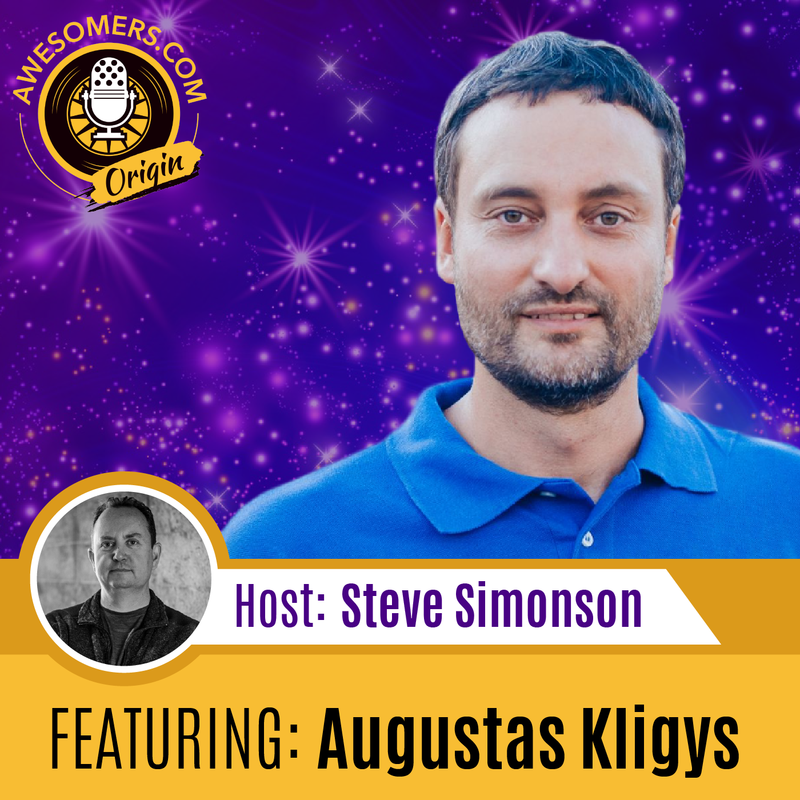 So sit back and listen as Steve’s special guest Augustas Kligys talks about virtual summits and how these summits help entrepreneurs like you connect with leaders in your field and potentially earn serious revenue. Steve: You are listening to Episode Number 75 of the Awesomers.com podcast series and today is another part one of a three-part series with Augustas Kligys. I think I get it right here on the read in, but believe me I'm not going to get it right in the episode. You'll hear my shame several times. So, Augustas is a really brilliant guy and I really enjoyed our time together. He's originally from Lithuania and he's created or started out by creating the European Private Label Summit as a virtual summit online in 2016 and 2017 as a means of helping other Amazon sellers capitalize on the thriving E-commerce market. Now in 2018 and 2017 by the way, he produced two other online conferences targeted at global Amazon sellers, one of them called AMZ Seller Summit, which got a record number of over 3,300 attendees and during his last virtual summit AMZ Q4 Strategy Summit he got thousands more visitors to join as they listened to experts share their tips and tricks for the most important quarter of the year at least if you're in retail the quarter number four. Now, Augustas is often just simply known as the Amazon Summits Guy and he's committed to providing others with the opportunity to achieve success by offering powerfully informative expert sessions and guides to becoming a top seller. In March 2019, Augustas invites European private label sellers to his first ever live event in Prague and we're going to talk a little bit about that. He calls it the European Seller Conference. Augustus' dedication has led him to gather the best information from around the world to offer his audiences. He furthers his mission in supporting other Amazon sellers as the founder of Orange Klik company, which helps E-commerce entrepreneurs become the best at what they do. Steve: I'm joined today by Augustas Kligys. Did I get that right Augustas? Augustas: No. Yes. You can just call me Augustas. Steve: Okay, Augustas, yes. Okay, yeah. So, my accent and everything will mess it up, but thank you for joining me today. It's a pleasure to have you. And so I've already read in kind of your bio and some of the history to the audience so they kind of know a little bit about your background, but tell us where you live today and what takes up your time on a day-to-day basis. Augustas: Well, at the moment I am in Lithuania in my home country in Eastern Europe, but in about 12 hours we will be just traveling by car 4000 kilometers to Spain. So, this is where we want to spend the next winter because Eastern or Central Europe or Germany – my wife is from Germany, it's a bit too cold for us to stay so we are traveling to Spain where it's much much warmer during winters. Steve: Oh, 4000 kilometers. Well first of all, thanks for taking the time squeezing us in before the big drive. How long will that drive take you by the way. Augustas: We have a child, so it will take – we plan 10 days. We are taking it slow. Yes, probably for American listeners, I don't know in miles it would be a little bit less than 4000, maybe 3.2, 3,200 maybe. Steve: Yes. It's a long way that's for sure and that's going to take you through a bunch of different countries. I mean that's one of the things that the people in the U.S. and even Canada we don't fully appreciate is how many countries you can go through over that many kilometers. Augustas: Yes, yes exactly. It will be Poland, Germany, Luxembourg, France and then Spain. Maybe we’ll touch a little bit of Belgium. Steve: Nice, yes. Well and also a nice choice for the winter. You have my approval. Spain is good for the winter. Steve: So, let's talk a little bit about your background and one of the things that people have talked about – knowing you, they say you're the Amazon Summits Guy. Can you tell us what does that mean and how did that name come about. Steve: Sure. Sure. I was just going to say that you know as the people go to these online events they're able to hear lots of different points of input and figure out what resonates with them right, what they're most interested in and then they can dive deeper as a resource to find out who those contributors are, you know they contribute to the summit, but they may offer a service that is handy for somebody to use later. Do you have any idea of tracking how many relationships have started as a result of these summits? I'm just curious. I don't imagine how, but any ideas? Augustas: I do know that some speakers get clients from my events if you mean that, but I think it depends a lot how open the speaker is to reveal his secrets or how much value he or she is giving. So, I have done about 150 sessions for five virtual summits and I can already see – sometimes I record the session and I can – I kind of have a feeling that all right this session will get – will be popular and I'm sure the speaker will get clients. And yes, I noticed that the more you get – the more value you give, the more clients you get afterwards. Some people I think they are – some experts might be afraid to reveal their secrets, which they are using when serving the clients. But the thing is that if you tell those little secrets or these tips which you hide, people will get confident and – if you will not tell, they will find it from another YouTube video and probably they will not come to you anyway, but if you tell them they kind of connect to you or they trust you because they felt a powerful value from you and then maybe now they don't have budget to hire you, but after half a year when they grow their business for sure they will remember you as a value giver and maybe they will decide to hire you to outsource some of their processes in their business. Steve: I think that's really a smart advice. So, both from the seller side, you know somebody offering a service and from the buyer side, somebody who needs the service, the more transparency there is early in the relationship the better and obviously – Augustas has already talked about this fact, but if you give value, that's when people are most attracted to you and as an entrepreneur for many many years myself, this is my 30th year in business, I look for the people who know the most because I want to hire them I want to help them and a lot of people want to have the do it yourself, that's the DIY mentality, that's fine especially as you're starting out you need to do things yourself, but as you grow they’re done for you. It makes more sense because that allows you to scale. So, people who are trying to protect too much knowledge so that they preserve their business they actually hurt themselves in the long run. So, it's interesting that you can even tell now when you get the inputs from the speakers, but I assume you pre-recorded the inputs before the session. Is that right? Augustas: No. I just pre-record the sessions, but nothing else if I understood correctly. But the sessions I usually pre-recorded. I do sometimes live webinars during the official days of the virtual summit. Steve: Got you. So tell us for those who don't know or haven't yet attended one of your virtual summit, what does that mean exactly? What is a virtual summit? Augustas: So, it's like – you can compare to a real conference in some way where you have big amount of speakers, but in the virtual event it's kind of you get much more speakers and you can listen to all of them without traveling, so it's – you are saving money on accommodation, saving money on flights and you probably get almost similar content. And I do provide sometimes the opportunity to connect to the speakers when I do live webinars during the virtual summit, but it would be very difficult logistically to organize let's say 20 or 30 speakers to speak live and communicate with the audience in the comments. So, basically I record the sessions and people are able to watch them for free during the specific days and I limit the previewing for 24 hours. So, if there are let's say 20 speakers in five-day events so everyday you will be getting links to four or five videos and afterwards comes my monetization of this business model. I basically sell all access pass. It's access to all the recordings and you get lifetime access. So, you get access to a membership site with all the videos. So, this is how it works. Steve: Nice. Yes, that's great. Well, I think it's a smart idea because first of all it takes time to travel. It takes you know effort and money and so forth and as you pointed out – and I can say this firsthand, I know many of the speakers who've spoken at your events are friends of mine and they are great people. They're worth traveling to see. They're worth traveling to go in here and to be able to do it just on your computer and then be able to pay you know some fee to have the all-access pass, that makes a lot of sense, so very easy to understand. So, we're going to take a quick break right now, but when we come back we're going to go dive a little bit into Augustas’ back story so we could make sure we understand him and where he came from a little bit more. We're going to do that right after this break. Hey, it's me Steve Simonson I want to whisper in your ear another one of my Awesomer heroes. I found this review on the iTunes system and it made my day from Pearson HTS. Here's what it says, “A must listen for every Awesomer entrepreneur. Over the years I've consumed plenty of worthwhile content through podcasts as well as some absolute trash, from sales stuff, self-empowerment to history and entertainment to general business leadership and most importantly entrepreneurship. In just a few short episodes Steve and his team at Awesomers.com have put together the most relevant podcasts for those of us that see the world through a different lens, think differently and have a love for creating and making something basically all of the elements and more that encompass the true spirit of entrepreneurship. The at your service attitude of gratitude engrained in each episode is contagious. Steve has an instinctive pacing in his freeform style and easygoing delivery that is backed by his natural inquisitive mind, love of systems and years of practical experience that provides a winning formula to deliver rock-solid content that almost anyone can easily digest. It goes without saying that I highly recommend this podcast for everyone not just to Awesomers as there are lessons and stories here that I think anyone can relate to. Thank you.” And I just say to Pearson HTS, thank you. That's such a thorough and well written review and I have to say it definitely was something that really made me excited to see and I appreciate the thorough nature of your review and the quality of your writing and so forth and of course your kind words. So, thank you, you are my hero. Steve: Okay. Here we are back again everybody, Steve Simonson joined by Augustas Klingys. Steve: Oh, Kligys, dang it. All right my apologies. I'm going to keep trying and please keep correcting me. I'm not that good. So, as I mentioned before we cut to the break is I like to get into people's origin stories and understand where all these smart brilliant people come from, the Awesomers around the world and you mentioned Lithuania was your home country, where were you born precisely? Was it in Lithuania as well? Augustas: Yes, yes. I am born in the capital of Lithuania, which is Vilnius. Lithuania is a very small country, just three million people or even less, but we are known for basketball. So maybe in U.S. people know some of the basketball players in NBA coming from Lithuania. Steve: Yes, tall guys. How tall are you? Augustas: In Europe in centimeters, I am 196 centimeters. In America, I think it's 6’ 5” – 4”, so I don't know, 6 feet. Steve: Still pretty big. Yes, still pretty big, yes. That’s impressive. So yes, I think a lot of Americans and those around the world. If they follow any NBA, you're going to see some Lithuanian players. So, how about your parents? Were they entrepreneurial? What kind of work did they do? Augustas: No. They were not entrepreneurial. I think I just learned it. I'm now 40 years old, so basically I became a real entrepreneur in the last few years, but I have been – after I finished computer science studies in Denmark, it was a Master degree studies and after that I worked as a freelance web developer, so I traveled a lot. Then I met my wife who is German. I met her in Spain 14 years ago. So, we traveled a lot with her around the world. At that time there was no this definition of digital nomads, but probably this is what we were and I was a freelance web programmer so I didn't see it as an entrepreneur, but when I look back at it probably I was entrepreneur because I was my own boss and more serious I started about just three, four years ago. This is actually when I started to look at different business models online. I like – I'm addicted to computer and the internet, so I was looking what to do and three years ago I've heard of Amazon FBA. Someone told me that they did some money and it sounded interesting. The only problem was that I didn't have really a budget for that. I have maybe less than thousand dollars I couldn't invest and I was looking for a product to sell and obviously there were a lot of – I was getting a lot of contradicting information. Some say that the product should be close to your heart. Some say that you don't care about the product. In the end, I couldn't find plus the budget restriction, so I left this idea alone, but I kept following Facebook groups of Amazon sellers and this is where I saw that European questions are unanswered in the public. People have a lot of questions about Europe and also at that time I got to know another business model, another way to earn money online, it was virtual summits and this is how I combined both the topic and the idea. Steve: Yes. I think you're probably the first person and as far as I know still the only person who's really combined the idea of the Amazon FBA marketplace as being the center of your curriculum with the virtual summit idea. Augustas: There was Kevin Rizer. He did Private Label Movement Summit two times, but I'm not sure if they're doing again because Kevin Rizer is not hosting his podcast anymore, but yes I think I was the first probably who started exactly talking about Amazon. There were some usual summits about E-commerce, but the more broader you get, it can be more difficult to get people interested in what you're doing. Steve: Sure, sure. Well, I think a lot of the sellers around the world can identify with this general problem of conflicting information right, this as you described earlier, this person says you know make the item really close to your heart as you described, you know something that you have passion for right and you've heard of these words probably before and somebody else go who cares just it's a commodity, just put it online and try to sell it. And you know both answers could technically be right, so I like your idea of having different speakers who have the different perspectives come and share the way they view the world. Is that how the idea got its origin? Augustas: You know what defines capitalism? Commercial breaks. Let's take one right now. Catalyst88 was developed to help entrepreneurs achieve their short and long-term goals in E-commerce markets by utilizing the power of shared entrepreneurial wisdom. Entrepreneurship is nothing if not lessons to be learned; learn from others, learn from us. I guarantee that we will learn from you. Visit catalyst88.com because your success is our success. Steve: Okay, everybody that was part number one of this three-part series with Augustas Kligys and I could tell you he's a really bright guy and I just love the fact that he was able to share some of his origin story with you today. We're going to get into more stuff over the next couple days. But just this idea that you know you hear about a great strategy, you know the so called Amazon FBA business model, but you don't have enough capital to deploy or to kind of get into that business so you just keep looking and you find another method and he's found this virtual summit method, which is a very clever way of not just making money and producing revenue, but in fact helping people right and that's a big deal. So, my hats off to Augustas for continuing to help others out there and along the way finding a business model that helps him as well. 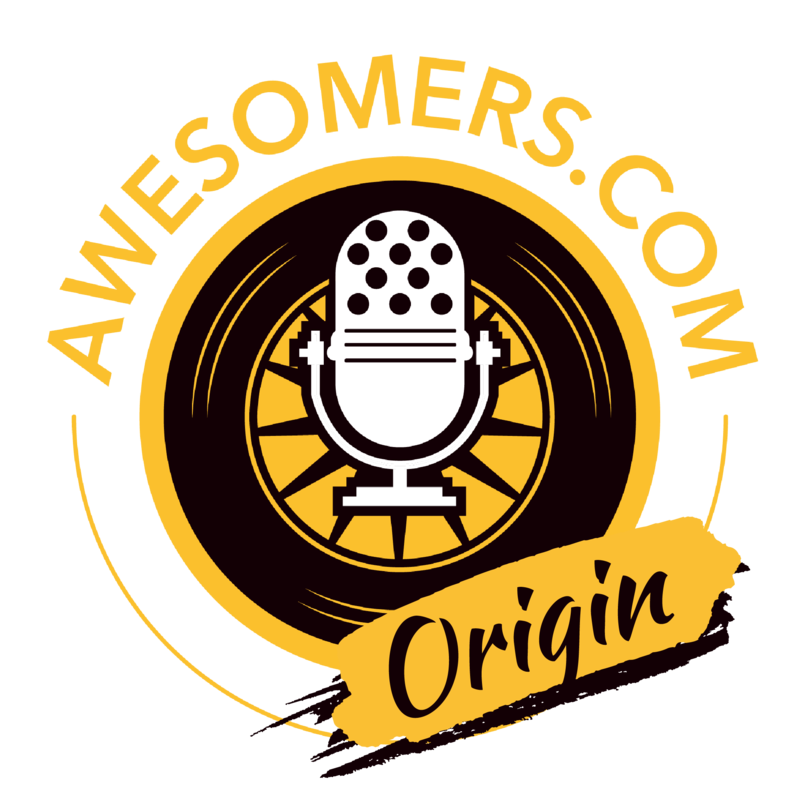 So, again, this is part one of a three-part series with Augustas and this has been Episode Number 75 of the Awesomers podcast series. All you have to do is go to Awesomers.com/75 to find all the show notes and relevant details. And as long as we're talking, just you and me, it's just the two of us, why not get out there and leave a review, maybe be sure you're subscribed and go ahead and share this out there in the world. Without any sharing from you, it's hard to get the word out, so we appreciate everything you do.